Don’t let a cracked, chipped, or missing tooth get you down, change the look of your smile, and negatively affect your bite. The attentive dental professionals at PDADental in the Financial District, Lower Manhattan, New York, provide quality dental bridges and crowns to repair and restore your teeth, smile, and bite. 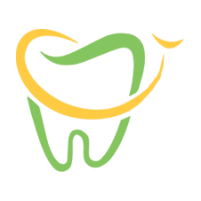 The PDA dentists treat various dental complications and offer individualized care and a broad range of general and cosmetic dentistry services. Call PDADental or use the online scheduler. A dental crown acts as a cap for your tooth and can safely and effectively restore cracked, discolored, broken, or chipped teeth. Your PDA dentist carefully places a dental crown over your tooth, so it blends in with your natural teeth. Dental crowns can change and enhance the shape, appearance, and size of damaged teeth and protect your teeth from additional damage, decay, and infection. Crowns are great dental support and an excellent way to improve the look of your smile and how your bite functions. To place your dental crown, your PDA dentist removes a layer of the outer surface of your tooth and prepares your tooth to fit the shape of your crown. Your PDA dentist cements your crown in place, so it properly covers the visible portion of your tooth and fits with the rest of your teeth. Your PDA dentist carefully matches the crown and ensures it’s the right color to blend with your teeth for natural-looking results. A crown can be an excellent solution if you have a large filling, but you don’t have enough tooth to properly hold your filling in place. Make sure you keep your crowns clean and don’t miss your professional dental cleanings, preventive care, and your dental hygiene and self-care at home. The edge where your crown meets your tooth can decay, but your dental crown can’t decay. It’s important you maintain good dental hygiene to prevent tooth decay. The PDA dentists recommend flossing daily and brushing twice a day. A dental bridge is a dental prosthesis that’s fixed in place to bridge the gap left by missing teeth. When you have a single missing tooth, a bridge is usually comprised of two crowns that fit securely on top of your natural teeth either side of the gap. In the center, an artificial tooth bridges the gap. Your PDA dentist can help you determine which of the different types of bridges is the right option to restore your smile. Bridges can permanently join dental implants or adjacent teeth to an artificial tooth. Crowns and bridges are utilized together to help you maintain your bite and prevent your remaining teeth from shifting out of position over time. If you’re considering a bridge or crown, book online or call PDADental today.